New Hampshire's senior senator has a message for her constituents ahead of the holiday - don't talk politics at the Thanksgiving dinner table. 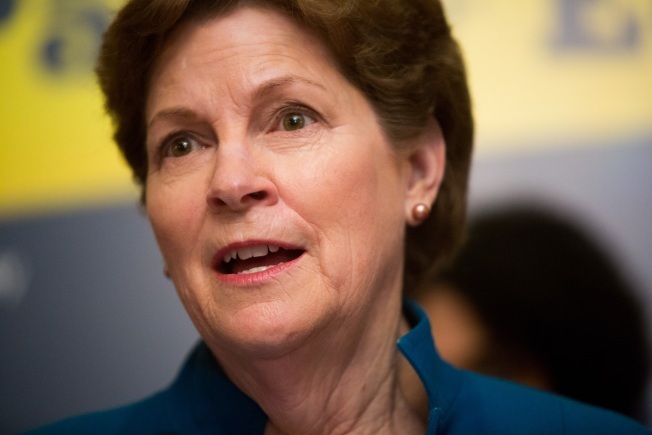 In an email message Wednesday entitled "Pass the turkey, skip the politics," U.S. Sen. Jeanne Shaheen urged New Hampshire residents to avoid divisive political discussions. "As Granite Staters and Americans, we have so much to be thankful for this Thanksgiving," she said. "Let's express gratitude and share laughs with our loved ones as we break bread and eat turkey. We are just weeks past a hard-fought election and emotions are still high. My advice is, don't give politics a seat at the table. As you gather with family and friends, remember that there is far more that unites us than divides us, both within our own family and within our American family." Shaheen endorsed Democrat Hillary Clinton in this year's presidential election, speaking at the Democratic National Convention and appearing with her at numerous New Hampshire campaign events. President Nick Covino of William James College discusses the tumultuous political landscape and how it is affecting families this Thanksgiving. She isn't the first to raise the issue of how this year's presidential election might impact Thanksgiving dinner table talk. Numerous websites have published stories about how to talk politics on Thanksgiving, and Saturday Night Live parodied the stereotypical nightmare holiday meal last weekend.